After massacre was started in 25 March, thousands of people rushed to Bhairab for their lives, there were many EPR members and injured people. A wave of injured and frightened mass came to Bhairab from Dhaka via Narsingdi by foot. The local people were trying to give service to these people fled for their lives with food and medical support. Lutfar Rahman Joj Miah was also in this volunteer group. Dead bodies of the people whowere killed by the Pakistanis came floating from the River Buriganges to the River Shitalaksha to the ebbward direction. Joj Miah is a witness to this numerous dead bodies. He came to Sunamganj after Bhairab was fell down in April. They have another house in the village Dolura in the border of Sunamganj. Later this house became a transit camp for the interested young men to go to be trained for freedom-fight. Veteran freedom-fighter Jagatjyoti Dash and many others stayed in this house then crossed the border for the training at their convenience. After sending everyone, Joj Miah himself went to the Eco-1 camp for the training to freedom-fight. After the training, he fought in Balat sub-sector. He has the horrible memory of Nolua defense near the border. 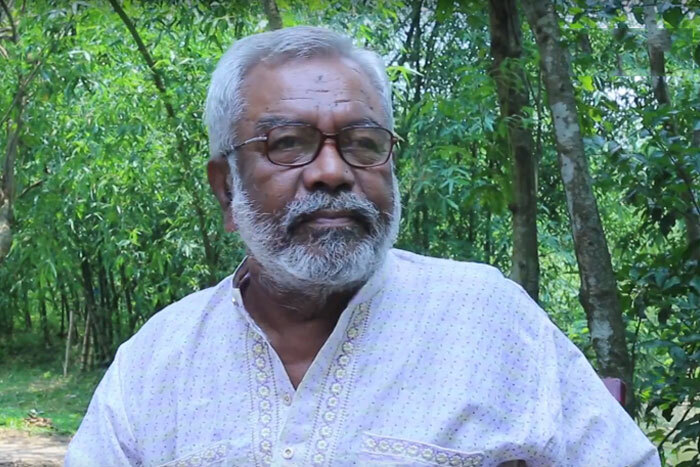 He saw his co-fighter Taleb to be captivated by the Pakistanis, later three freedom-fighters including Taleb was shot to death over Ahsanmara Bridge in Sylhet-Sunamganj highway. Joj Miah cannot forget giving water to the co-fighter after his head was off by the shot of occupier Pakistani army. লুৎফর রহমান জজ মিয়া পাকিস্তানীদের উদ্দেশ্যে বলেন- "এতো নিষ্ঠুর, কী করে এতোগুলো মানুষকে মারলো? এরা কি মানুষ না জানোয়ার! "